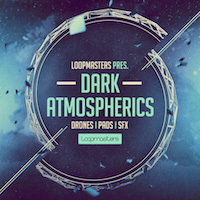 Loopmasters present Dark Atmospherics 2 - a brutal collection of killer sonic mutations, cuts and textures to swoop a looming shadow of sound over your music. All content is provided 100% Royalty Free and is formatted for all major DAWS. Dark Atmospherics is back - with more bite and inflicting more bruises than before! 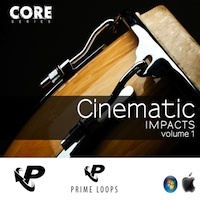 Created by producer/engineer Colin C. (HBO, FOX, Showtime, NBC/Universal, Lionsgate) Dark Atmospherics 2 comes with over 1.5GB of content, with Loops, One Shots and Sampler Patches primed to contort and warp your music immediately. Everything you hear has been crafted, programmed and produced to the expert standard you've come to expect from Loopmasters. 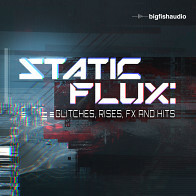 Over 500 individual elements are included with lucid Atmospheres, searing Basses, modulated FX and powerful Synths, produced by our diabolical companion and captured in 24 Bit clarity. 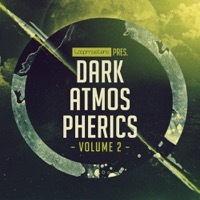 Featuring 200 gritty, futuristic and dangerously PHAT Drum Loops at 4 tempos, Dark Atmospherics 2 is ideal for layering the mix and syncopating your groove. 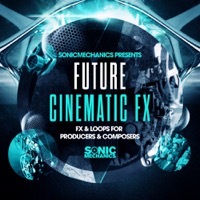 In excess of 300 One Hit samples provide the melodic and atmospheric elements you need, with a wealth of multi-sampled instruments to play from within your daw primed for instant use. 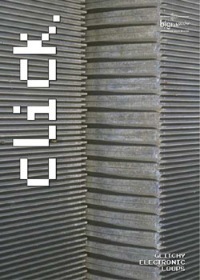 Over 200 Rex2 Loops and 153 Sampler Patches are included to morph and mutate the sounds even further into the night. In creating Dark Atmospherics Vol. 2 Colin utilized some choice selections of hardware synths (Dave Smith Prophet 12, Access Virus Ti, Moog Little Phatty, Waldorf Blofeld, Roland Juno and JD-800) and discretely captured them with high end Apogee converters via analog processing (Vertigo VSM, Manely Massive Passive, Eventide H910) and world class compressors (Neve 88rs & API 2500). At 85-174BPM, Dark Atmospherics 2 is ideal for Hip Hop, House, Drum & Bass, Synthwave, Techno, Breaks, Trap and anything in need of some evil atmosphere! If you like the sonic cinematic evolutions of Amon Tobin/2 Fingers, Burial, Spor & Murcof and you're a fan of Dark Atmospherics Volume 1, this is the pack you've been waiting for. All musical content is key labelled for instant integration in your projects. In detail expect to find 1.52Gb of content with 514 individual WAV files. 200 Loops are included with 50 Drum Loops at 85BPM, 50 Drum Loops at 120BPM, 50 Drum Loops at 140BPM and 50 Drum Loops at 170BPM. 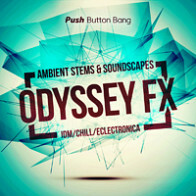 314 One Shot samples include 71 Atmospheres, 11 Bass Hits, 17 Bass Multi Sampled Instruments [61 Samples], 12 Kicks, 10 Snares, 55 FX Hits, 17 Mod FX Hits, 7 Mod FX Multi Sampled Instruments [21 Samples], 13 Synth Hits and 15 Synth Multi Sampled Instruments [43 Samples]. 202 Rex2 Loops and 153 Software Sampler patches are included for NNXT, Halion, Kontakt, Sfz and Exs24. 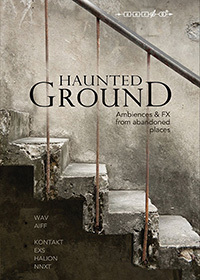 Dark Atmospherics 2 is the definitive collection of textural tones from deep within the shadows. Log in to download a free taster pack, and check out the specs and demos to find out more! 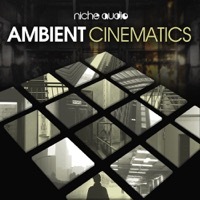 The Following End User License Agreement is included with Dark Atmospherics Vol 2. This License is only valid for the individual who has purchased an unopened, new and lawfully made copy of Dark Atmospherics Vol 2 from a dealer or distributor authorized by Big Fish Audio. 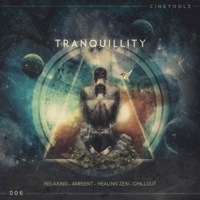 Exciting soundscapes, textures and sound design material by Colin C.